It’s been a busy time over the Christmas period. Wrapping up projects, buying gifts for my kids and even cramming in a few study sessions to learn new skills. 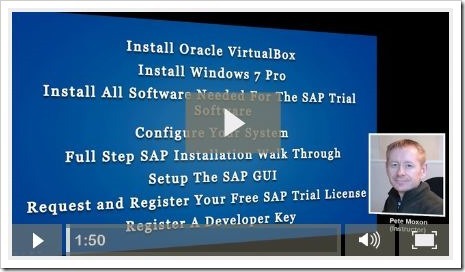 Even though its been busy, I still found time to launch a new FREE SAP course that I want You to get access to. 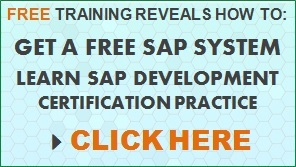 The course shows you Step By Step how to setup your very own SAP Trial system so you can learn new SAP skills, practice ABAP for your exams or just have a tinker around and play in your own SAP system. Please share the course with your friends and colleagues. Now we are into 2014 let me ask you … What skills are you going to learn or improve on? For me… I want to learn more about HANA. What do you want? I know lots of instructors both within the SAP community and outside. If you let me know what you want, I will see if I can get them to give us all a special offer. me marketing representive of marg manufacturing software. 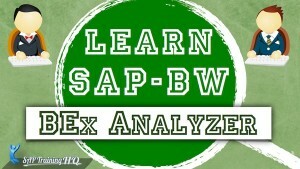 so I want learn SAP plz contact me. I am working as SAP B1 basis administrator at a NGO in Pakistan. 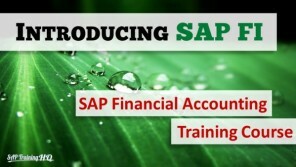 I Want to certify SAB Basis Administrator from SAP. 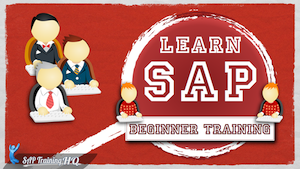 Could you please guide me about..
At academy.saptraining.com there are training courses on Basis. The instructor is a Basis certified consultant and can offer advise through the courses. so is there different in new SAP HANA with ABAP? 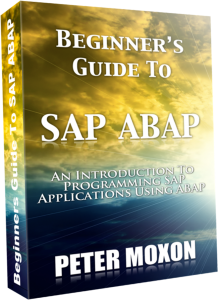 ( ABAP 1 + ABAP 2 ( Object) with 127 ? can you answer my questions please . The cost is per course. I do plan on creating some discount bundles in the future to but it will be a few weeks yet. what is the new in SAP HANA with ABAP? If I am an ABAP developer. 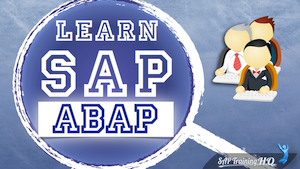 Can I still use my ABAP programming skills on SAP HANA? 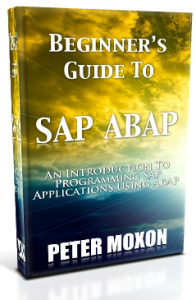 or should start SAP HANA with ABAP? 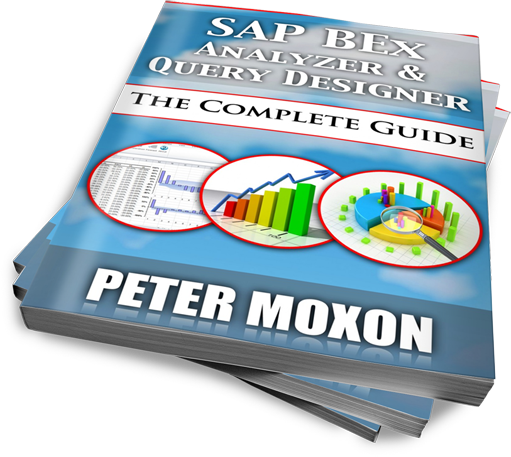 if there is SQL and SQLScript in SAP HANA; so why I need ABAP? Here’s the deal….. SAP HANA is a Database that also has HANA specific dev tools to allow you to create stores SQL procedures and database views. Very much like any other programming language working with a 3rd party database, the programming language can ‘call’ the stored SQL procedures so the DB executes the data SQL in it’s own memory using it’s own processor. Once complete, the DB then passes back the results t the calling program to do what ever it wants to do. This is how ABAP works with HANA too. 1) Select the data from the DB – using the DB server resources – BUT (and this is the key to improve performance with HANA) make sure to filter, sort etc… on the HANA DB server before returning the data to the calling ABAP program for further processing. 2) Process the data further. Summary: We tell ABAP to do as much data selection/filtering/aggregation as possible on the HANA DB before returning the data to our program for further processing, such as report output. So as an ABAP developer, this is what you need to learn… How to created HANA Views on HANA itself and select data from these views in your ABAP program. How to select data from the HANA DB without using views from within your ABAP program (this is just changing the way your write your select statements). How to write stored SQL on HANA if you want to select data that way instead of views. Obviously there is more to it, but this gives you the jist of it.